Renovation is not only for rooms or a kitchen or a bathroom. Rather, renovation can be done for exteriors too. Renovating the exterior walls is not enough to give your house a perfect look. It will be affected if your house has a badly maintained garden. Beautifully maintained gardens by reputed landscaping services often enhance the beauty of a house and the whole property. Wherever we go to travel, a well-maintained garden is a place that attracts eyes and also the lens of the cameras. 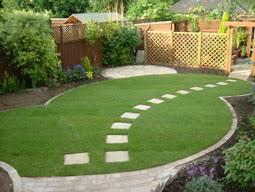 If you have a garden in your house, it is high time to do something for it. Your garden may contain some trees that were much loved earlier. But that does not necessarily mean that you will go on keeping everything in the garden. Every tree grows and it may lose its shape and beauty in a way that it is affecting the garden rather than enhancing its beauty. Though it is very bad to cut a tree, you can replace with another plant. The plant will have time to grow and your garden will look good. Also, installing stone retaining walls will enhance the beauty of your garden. There are quite a few trees that grow to be tall and dense. Overgrown trees not only create shade, but this sunlight restricting shade can affect other trees too. These trees even can reach a height where wind can affect the branches. It is dangerous for the property but also for the people living around it. When you find that your garden has such a tree, you better take help of an arborist. An arborist is an expert in cutting and shaping trees. An overgrown tree requires the attention of the arborist. He will carefully snap the dangerous portions. This will give the tree a shape and the density will be reduced. There are many ways to restore a tree. But a garden may not need any restoration. In many cases, removing a tree is the only option. Some trees grow so big that it is better to remove them when fully grown. Sometimes, small trees lose shape and productivity. These trees need replacement with new trees. By starting all over again and planting new trees one can breathe a fresh air into the garden. Weeds are the basic problem that plagues many garden lovers. If you really want to maintain your garden, it is better to be careful about weeds. These can harm the trees in your garden.